There is no shortage of games for your iPhone, and I'm sure you and your friends are probably sick to death of playing Candy Crush Saga by now. To spice things up, instead of waiting for cool new addicting games to come out, take control and make your own, then share them with your friends. Puzzlium is a new iOS app with a unique twist to mobile gaming. 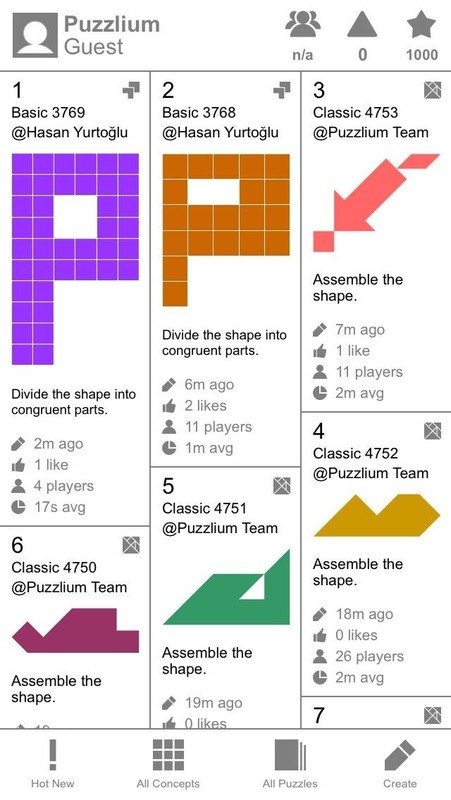 You solve problems ranging from tangram- to tetromino-based puzzles, and you can make your own too, then share them with your friends and the Puzzlium social network. 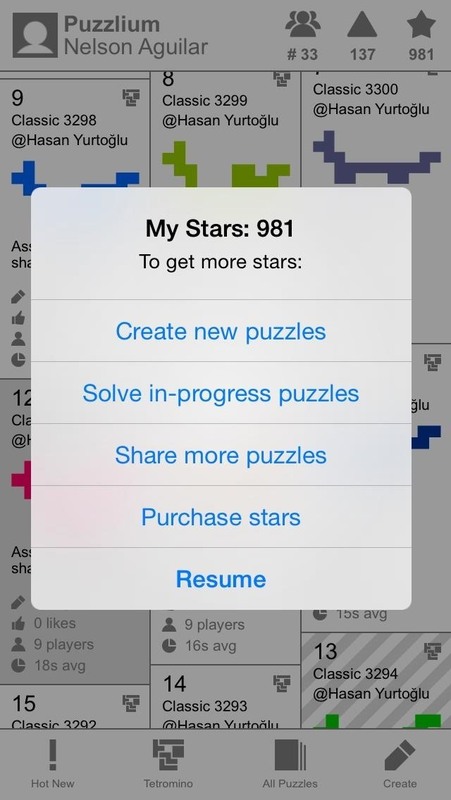 Install Puzzlium for free from the iOS App Store, and let's see what it can do. From the homepage, you'll see a collection of other users' puzzles categorized by top played, which you can attempt to solve. 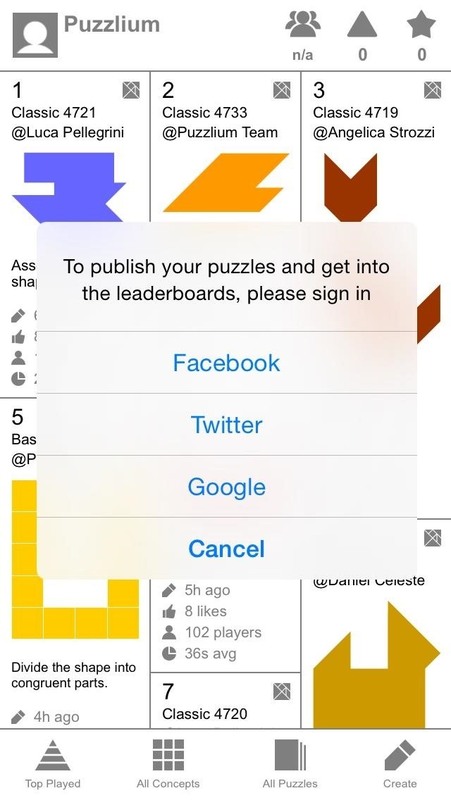 To solve puzzles, and to appear on the leaderboards, sign in by tapping on the guest icon in the top left-hand corner, using your Google, Facebook, or Twitter credentials. There are three different transformation puzzles to choose from. On the left image below is a Tangram puzzle, where you're given a set amount of different shapes. As fast as possible, you need to slide the shapes into the grey area until they all fit without overlapping. 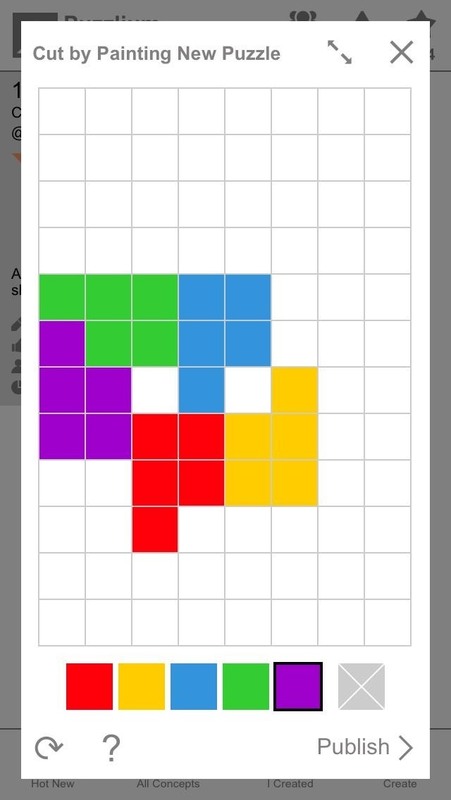 You can rotate each shape by tapping on it once, or flip them by tapping twice. Tetromino is similarly played, but with four-block geometric shapes. With the Cut by Painting puzzle (right image above), you're given different color schemes and an empty grey platter made up of small blocks. Your job is to create congruent parts (meaning identical shapes) until the entire pattern is filled. Underneath each puzzle you attempt, you'll find several icons which include restarting the puzzle, a clue, how to play the puzzle, and the ability to like and share the puzzle with friends. To narrow your search or change the way puzzles are categorized, you can tap at the bottom to organize by the type of puzzle, its creator, and by rank, popularity, and difficulty. The Puzzlium team has created the majority of puzzles to begin with (and they have similar puzzle games in the App Store), but the idea behind the app is for users like you to create puzzles that others can solve. 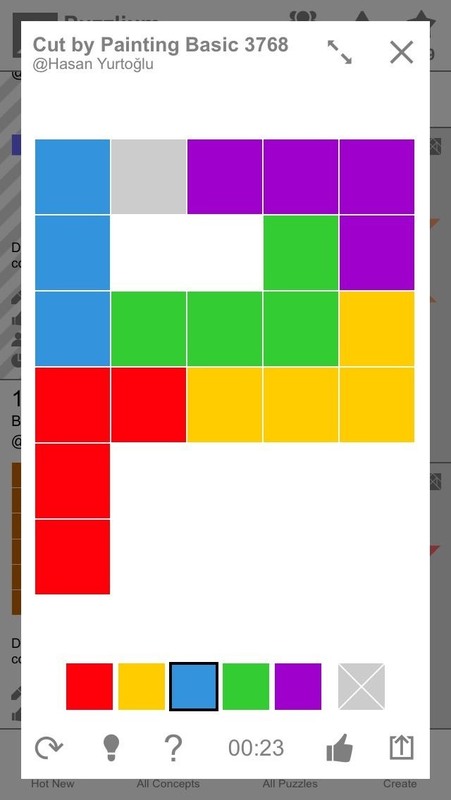 To create a new puzzle, tap on the Create icon on the bottom right. Depending on which puzzle you want to create, you'll be given a different editor, which are all extremely simple to use (check out the image below on the left—it's pretty intuitive). Once you complete your puzzle, publish it for others to solve. On the right image above, you can see the puzzles that I've created. 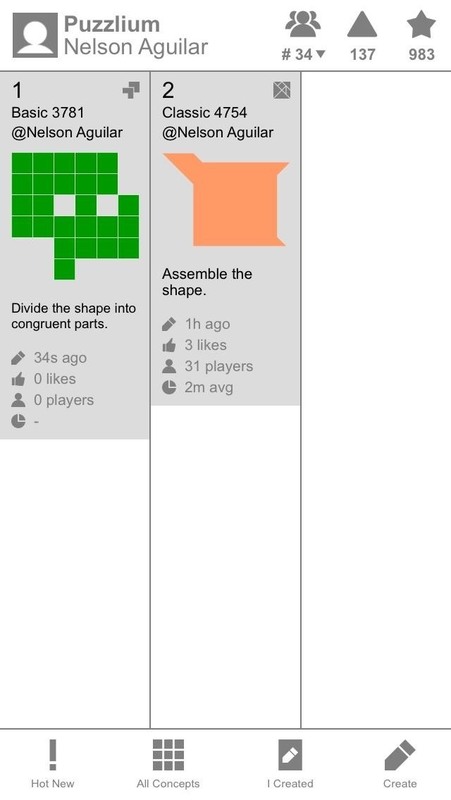 You can monitor how many likes your puzzle has, how many people have played it, and the average time it took them to solve it. 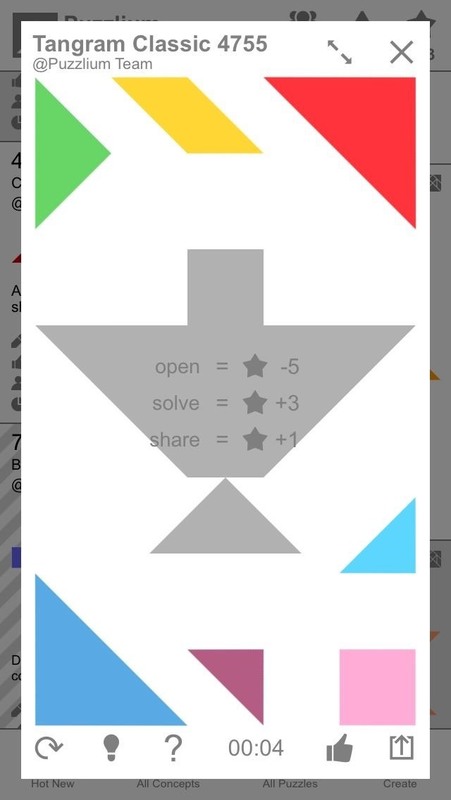 As you complete puzzles, you'll notice that you gain experience (depicted as a triangle icon) and gain/lose stars for every puzzle you open, complete, and create. 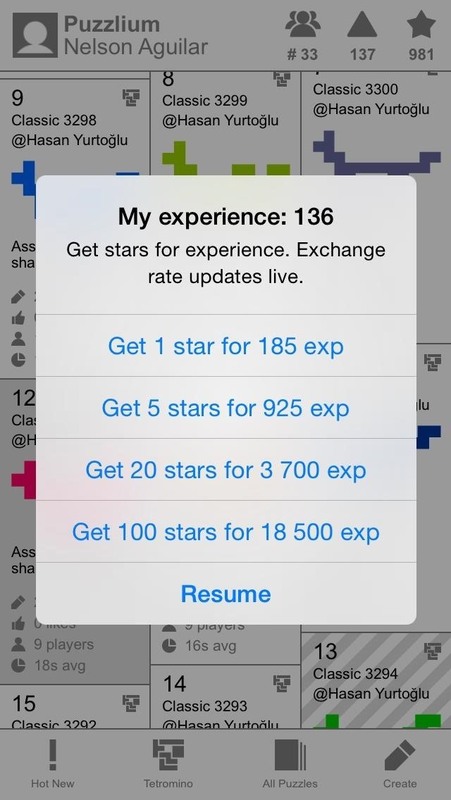 You can exchange the experience you gain for stars, which you can use to solve and create more puzzles to work your way up the rankings. Overall, Puzzlium is an extremely unique take on the usually tiresome puzzle/social networking scene. Not only am I able to interact with users, but I'm stimulating my brain with dissection puzzles, as well. Puzzlium is fairly new, so look for more puzzle types and increased functionality, like the ability to share to web apps and non-iOS devices, in the near future. I'm hoping they start incorporating logic puzzles and more some complicated pentomino puzzles.